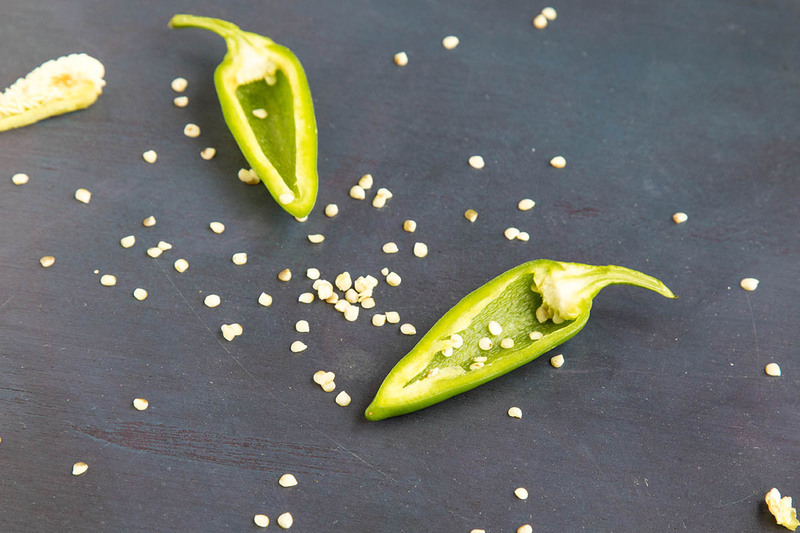 Learn how to save chili pepper seeds from your garden-grown peppers so you can store them and use them to grow peppers the next season. 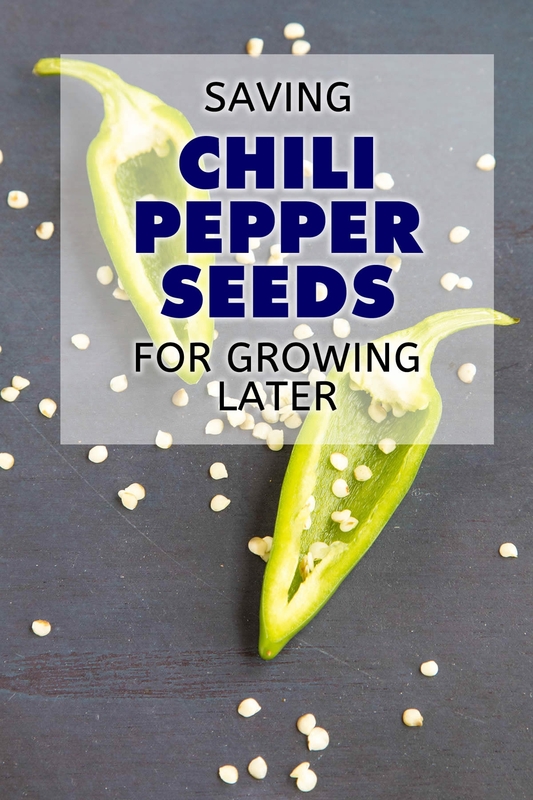 As a chili pepper grower, you may want to save the seeds from your current batch of chili peppers rather than purchase new seeds each year. Saving seeds also saves money, and ensures your harvest will include your very favorite peppers from season to season. The only major issue to consider, however, is the possibility of cross pollination from other peppers in your garden. Pepper plants can cross pollinate, so if you do grow multiple peppers in your garden, you’ll want to take steps to limit cross pollinating. 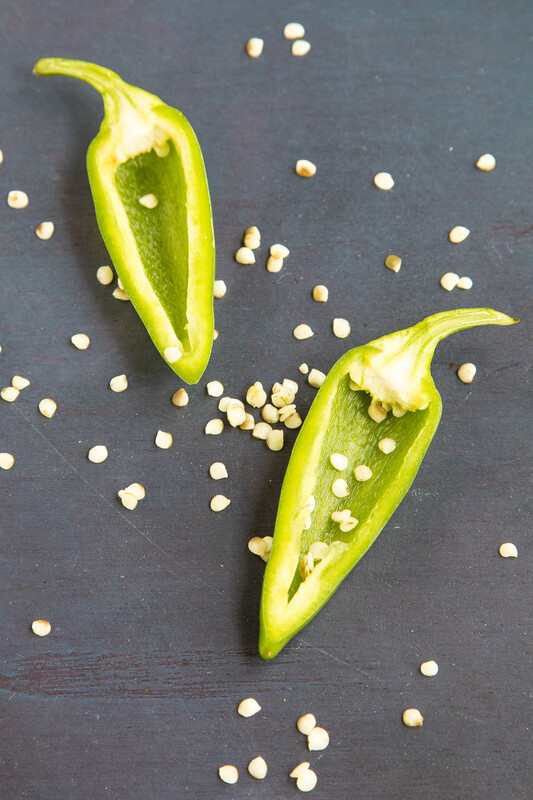 You may be familiar with the idea of cross pollination in the pepper world with hybrid peppers, like many of the superhot varieties. The concept generally means that genetic material from one type of pepper plant will exchange with another. This genetic variant will not show up in your current plants, but may show up in future generations grown from those seeds. This is a highly popular method for creating new pepper strains with new and interesting characteristics, such as thicker pepper walls or greater heat. If you want the same peppers from year to year, it is best to not save seeds from cross pollinated pepper plants. If you are growing plants for seed, then grow them at sufficient distance from one another, or better yet, use specialized netting to protect them. Note that not all chili pepper species cross pollinate. Annuum will cross easily with Chinense, sometimes with Baccatum and Frutescens, but not with Pubenscens, which generally does not cross with any other species. If your goal is to grow seed and sell them commercially, you will need to isolate your plants by type and take steps to ensure no cross pollination occurs. If you are simply growing a home garden, you may not care what types of peppers you get, and it might even be fun to grow your own hybrids. Regardless, the process of saving pepper seeds for growing later is the same. First, cut into your fresh peppers to expose the seeds. Use only fresh, healthy, mature peppers, which is very important. Mature seeds are hard and dull white in color, where immature seeds are softer, bright, glossy white. Only mature seeds are viable for saving for future growing. Next, clean and dry the peppers. Cut them open and remove the seeds. Some seeds are easier to remove than others. Bell peppers, for example, are quite easy, as the seeds are prominently located at the top of the pepper. Smaller peppers, including superhots, aren’t quite as easy to remove, though still aren’t that difficult. There are techniques, such as finely chopping or processing the peppers then mixing them with water in a bowl, allowing the seeds to sink to the bottom, but use whatever is easiest for you, whether that is using tweezers or just chopping and removing the mature seeds. Just be sure to wear gloves when handling hot pepper pods. Next, spread the seeds out on a flat surface indoors and away from direct sunlight in a well ventilated room. There should be no humidity. 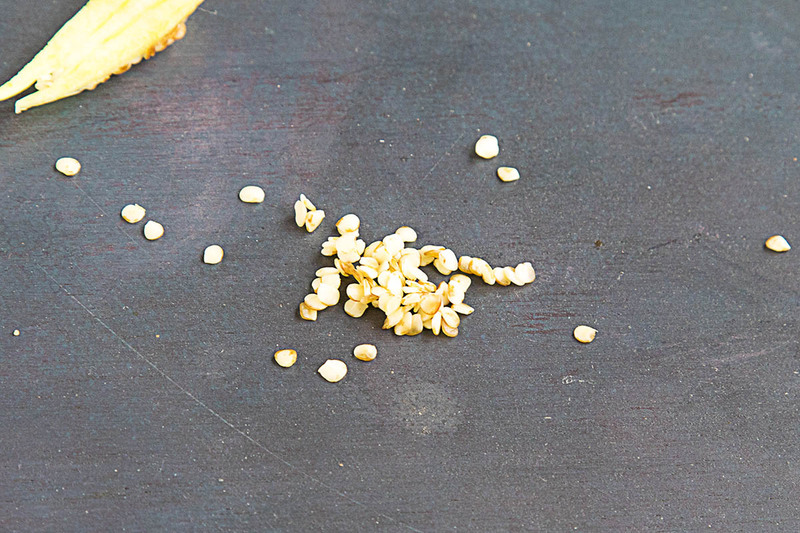 Do not use paper plates or paper towels, as the seeds will clump and stick to them. Ceramic or coated plates work well, or even cups. Allow to dry for 2-3 days, or up to a week. Shake or flip them each day to ensure even drying. They will be ready when a seed is brittle and breaks rather than bends when pressure is applied. You can also use a dehydrator to dry the seeds, though temperature is very important. Do not exceed 95 degrees F. 85 degrees F is ideal for drying pepper seeds for growing. You can save seeds from younger pods, but you will have more success from ripe chili pepper pods. As a best practice, let some pods grow on the plant until they become fully ripe, and even start to wrinkle a bit. Remove the seeds and dry them per the instructions above. For longer term storage, store the seeds in airtight containers. Be sure to label them with pepper type and dates. For shorter term storage, many people use baggies or envelopes, which work as well. Store them in a cool, dark, dry place, such as your cupboard or refrigerator. The refrigerator is the best for storage. These seeds will be viable for approximately 2 years, though it is best to use them within a year as the genetic material can degrade and the likelihood of non-sprouting increases with age. In reply to Dan’s comment about his dad’s cayenne seeds producing sweet offspring, when one grows plants from commercially grown hybrids it is never guaranteed the offspring will reliably mimic or repeat the characteristics of the parent plant. Hybrids normally only pass forward the traits of either one or the other of their parents, and rarely can they reproduce the traits of both. Selectively bred plants over several generations and open-pollinated plants are the better bets when repeatable results are desired. Here is a link to one article expanding on my comments. Enjoy! Thanks for the reply and for the interesting article linked, I reckon it is a good explanation of my experience. However, a year has past and soon after my post I decided to change plans and planted rocoto chillis – open pollinated for centuries! Since they are perrenial AND pubescens I don’t need to worry about cross pollination in my garden for a long while! The trees are a year old and full of green fruit now. Any suggestions for using them will be greatly appreciated as they are such a thick, juicy pepper! Dan, there are many recipes on the site here than can be adapted to use rocoto peppers. Take a look at my Spicy Recipes section and see what you might find. Happy to help you adapt something. One thing you don’t mention is when the chilis germinate OK and do all right for about a week or two, but then just fail to thrive, eventually dying after about 6 weeks. I’m told it is “damping off disease”. I’ve tried using fungicides, but still get the problem. Cold weather is not the cause. We live in Brazil! I’m so embarrassed my chilis are such a flop. Ian, I’m so sorry to hear! Have you treated your soil? Perhaps that is the issue. Hi Ian! I know this is a late reply. I live in Panama and I love to grow hot Jalepeno peppers. We have occasional damping off issues. Its normal in a tropical climate. Grow enough seedlings that you can afford to lose a few. I grow 4 or 5 in a pot and I also use more pots than I need as well. I direct seed right in the pot that the plant will live in permanently. I usually experience damping off issues. Growing more than I need helps me make sure that a few plants survive. We don’t just have damping off issues. There is also those pesky cut-worms for example, as well as other issues. Just grow more plants than you need and you will have a few that will survive. REPLY: I’d love to hear from other growers on this. It’s pretty easy, crossing peppers. — Mike from Chili Pepper Madness. if the pepper has been frozen can you still use the seeds? REPLY: Jerry, I’ve heard of people growing peppers from frozen pepper seeds, though the germination rate is much lower. It’s best to start from fresh seeds. However, if frozen is all you have, you can try a germination test by planting a few just to see if they sprout. — Mike from Chili Pepper Madness. Your recipe indicates “your garden grown peppers”. My question is can I use store bought peppers seeds ? I was told that I can’t use the peppers they will not germinate. Is this true? I enjoy pablanos and would like to grow them. REPLY: Gary, it’s hard to know if the peppers/plants have been treated with anything or if they’ve been grown beside other pepper plants, which might produce cross-pollination. If they’ve been cross-pollinated, you might get different pods. Also, it might be the case that the peppers were picked before being fully ripe, so those seeds would not be ideal. Best to use garden grown peppers for seeds. — Mike from Chili Pepper Madness. This article is right on the point. Good Article, well written and describes what to do. I put my seeds I collect on a Paper towel and put them near a Window. they dry in 2 or 3 days.